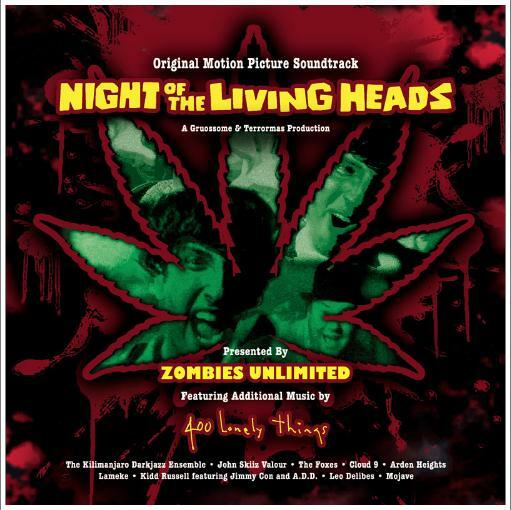 Not too long ago, I was approached by a film-maker about contributing some music from the Tonight of the Living Dead album by 400 Lonely Things to a film he was working on; a combination horror movie / comedy called Night of the Living Heads about a lethal strain of Jamaican marijuana that turns those who smoke it into zombies. 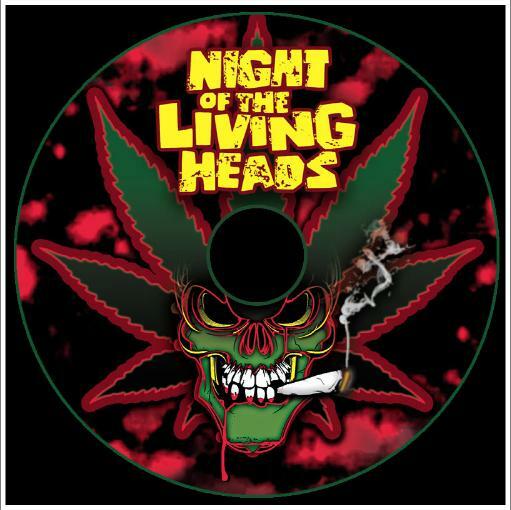 I was recently sent a copy of the completed film, and it's quite funny and quite horrific. I hope it finds the wide audience it deserves. 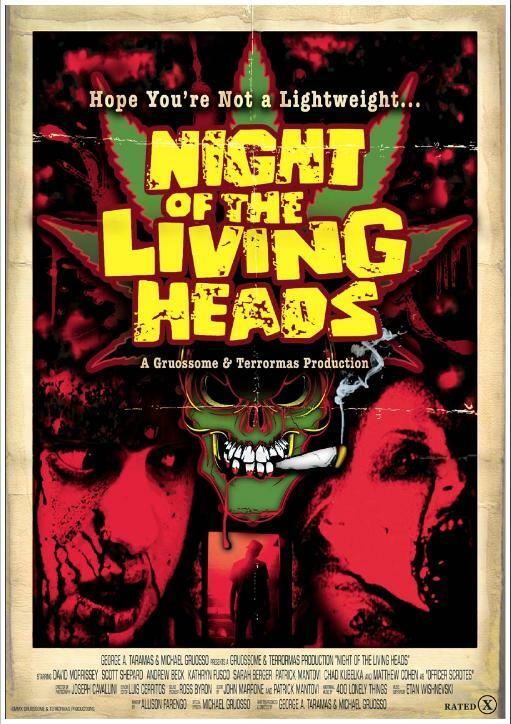 ABOVE: A light-box poster, distressed to look like a late-70's grindhouse cinema or early 80's low-budget VHS horror film. 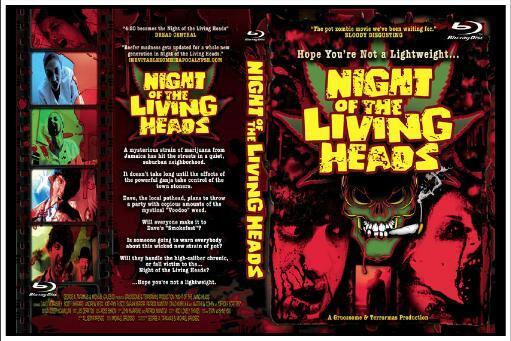 BELOW: DVD / BLU-RAY packaging. 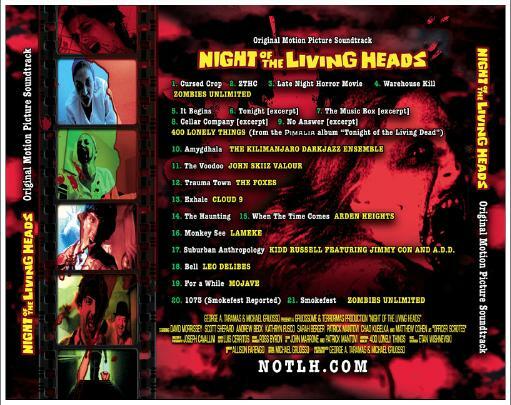 BELOW: Soundtrack album covers and disc art.